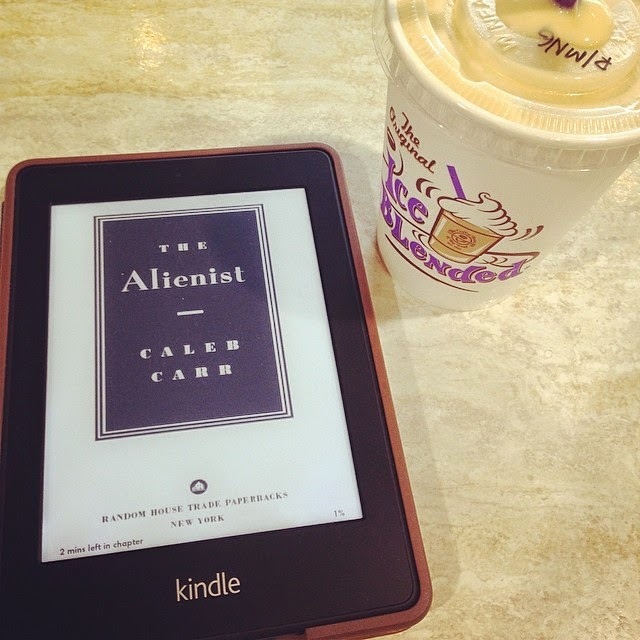 Caleb Carr’s The Alienist was chosen as the book club’s book for the month of March. Not being a total stranger to the crime/thriller/mystery genre, I looked forward to reading this because who doesn’t love a good mystery, right? "The lead is solid. Follow it." The novel is set in the late 1800s New York City and told in the first person POV of John Moore, a criminal reporter for the New York Times. Moore, together with his friend Dr. Laszlo Kreizler – an alienist, or simply put, a psychiatrist – are commissioned by their old buddy from Harvard, Theodore Roosevelt (yes, that Theodore Roosevelt), newly-appointed chief of the New York police, to investigate a gruesome murder: the mutilated body of a young boy, barely in the cusp of manhood, is found at the top of a bridge. Later, they would discover that the boy was a man-prostitute at an infamous New York brothel, whose murder will soon be followed by several others, with evident similarities in the manner of killing. It is clear that a serial killer was making his presence felt. Soon enough Moore, Kreizler, and their team of detectives peruse the clues, examine the evidence, and methodically pursue the killer. Whodunit?? What sold The Alienist to me wasn’t the thrill of discovering the killer’s identity – although I also enjoyed that aspect. Surprisingly, what I loved the most about the novel are the historical backdrop and bits of information on 19th century New York (and the US, in general) – again, soft spot for history plus fiction talking right here. It allowed me to take a little glimpse into the way of life, the people, and the city of New York itself as it existed from more than a century before. Caleb Carr is a historian, so any doubt as to the accuracy of events, people and places is quashed from the outset. Combine this historical setting with the element of suspense that demanded no less than consistent reading time from me, and I was done reading it in no time. What I didn’t exactly like, however, was the highly technical and psychological shiz that served as launching pad for Kreizler’s investigative team to track down their killer. Yes, they pored through thick volumes in an attempt to patch together a personality that fits a suspect, but they didn’t need to actually go through the psychological burble, did they? That was the part that I found tedious to read, and it distracted me from the excitement that had been so far building up. Over all, however, The Alienist was a good read – thrilling and fun while it lasted, but not all that exceptional to convince me to read the sequel.